I am Tom Cox: I am an organizational psychologist of some experience broadly specialising in occupational health issues relating to work, health and the sustainability of working life. I was awarded the CBE in 2000 for my contribution to occupational health. This award was largely related to my role in the development of the Management Standards approach to work-related stress and psychosocial risks to employee health. One of my current concerns is cancer survivorship and work participation. I hold Chairs at three universities. My primary affiliation is with Birkbeck University of London where I hold the Chair of Occupational Health Psychology & Management and am Director of the Centre for Sustainable Working Life (CSWL) in the School of Business, Economics & Informatics. I am also heavily involved in the METIS Collaboration as its Co Director. METIS is hosted at the University of Aberdeen by the Academic Urology Unit in the Institute of Applied Health Sciences, School of Medicine & Dentistry. I hold an Honorary Chair in Psychosocial Oncology at that University. Last, but not least, I have an Emeritus Chair in Organizational Psychology at the University of Nottingham in the Division of Psychiatry & Applied Psychology, School of Medicine. Hopefully, I am a productive researcher. I have had about 10,700 citations of my more substantive publications (so far) with a h-index of 60 and an i10-index of 162 (Google Scholar). 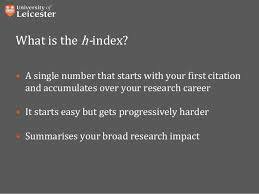 Since the early years of my partial retirement in 2013, I have managed an h-index of 41 and an i10-index of 98 (Google Scholar). The blog has achieved over 23,881 hits. Recently, the top 10 countries, by hits,have been the UK, Canada, Poland, USA, Brazil, Italy, Australia, Ireland, Germany and Sweden. The blog also seems to have some appeal in some smaller countries such as Latvia, the UAE, Cyprus, Iceland, Serbia and Croatia! The BLOG ADDRESS is: http://www.proftcox.com. There is an exciting opportunity to get on to or to get back into an academic career by joining a dynamic, productive and friendly team in the Centre for Sustainable Working Life, Birkbeck University of London. The Centre is advertising a fixed term Lectureship A in Occupational Health Psychology . The post should start in late February 2019 and is for 9 months. It is part time (0.5 FTE). The salary will be in the range of £37,912 to £43,333 pro rata (Grade 7). The person appointed will assume the position of Acting Director of Learning for the Centre’s Professional Doctorate in Occupational Health Psychology & Management (PDP). They will work closely with Professor Tom Cox and other members of the Programme Team in organising and delivering the programme content. There will be time for the person appointed to develop their own research or collaborate in the Centre’s established research projects. There is scope for the person to work from home where that is sensible and can meet the requirements of the programme. The PDP was formerly established in 2017 and took in its first cohort in 2017 2018. It has just admitted its second cohort (2018 2019). The programme is part time and focused on devoting the real world research and research competence of those with work experience and particular work-related and career interests. It is four years in duration. The first two years, culminating in a systematic review, are seminar-led and the final two years are based on supervised empirical research. There are currently 5 programme members. The three members of the first cohort are researching: cancer survivorship and work engagement, cultural intelligence, workplace diversity and safety, and emotional intelligence and safety leadership. The Centre’s research interests, largely funded, focus on long term conditions and work engagement, health services development and post traumatic stress, health and work engagement. All the research is grounded in the real world context and intervention-focused. More information from: Professor Tom Cox at: t.cox@bbk.ac.uk. See: http://www.bbk.ac.uk (job vacancies) or http://www.jobs.ac.uk. Expressions of interest (and resumes) welcomed and will be treated in confidence. The closing date for formal applications, via the Birkbeck website, is 17th December although if a suitable applicant is not found, the post may be re-advertised. We all want Occupational Health Psychology (OHP) to address relevant real world issues using methods that are fit for purpose. We want to see research, policy and practice intimately related. We want to make a difference. However, there are two important caveats that concern me with regards this otherwise exemplary vision. First, not only should OHP address those issues that present themselves now but it must be concerned for and seek to address those that are currently emerging and those issues that we might anticipate in the short to longer terms. Obviously, this requires us to increase the importance of horizon scanning and also of preparedness in our discipline and to develop the scientific methodologies and management processes that might support them. Taken together these different things will lead us into new territories of research, conceptual and methodological, most will be situated beyond the boundaries of what is currently published in our esteemed journals. It will also lead to new forms of policy and practice. These are no bad things. Second, a forward-looking stance is not my only concern. There is another which is geopolitical and economic. We need to ensure our world-wide relevance and make clear our concern for all societies, peoples and forms of work. To these ends, we have to develop and practice a discipline that is relevant to the challenges and needs of under developed and developing countries and to countries outside of the Western geopolitical sphere. Achieving these things will again lead us into new areas of research, policy and practice. If OHP remains a discipline focused largely on the now and mainly that of Western/developed countries then it will have failed us all in the wider sense. This is especially clear when seen in the context of fast changing technologies and politics in a fast changing world economic community. The challenges are to keep OHP relevant for the future and as a real world discipline for all … if we want it to be more than just an another traditional academic subject. Here is a selection of my recent publications from the Centre for Sustainable Working Life, Birkbeck University of London. Together, they give a flavour of the Centre’s research programme. Of course, there are other publications from the Centre and these will be updated in due course. Teoh, Kevin, Hassard, J, and Cox, T. (2018 In press) A multilevel perspective on the interaction between job demands and resources impact on doctor wellbeing. Health Care Management Review. The PDP in Occupational Health Psychology & Management is offered by the Centre for Sustainable Working Life in the School of Business, Economics & Informatics at Birkbeck University of London. It was formerly established in early 2017 and took in its first cohort for 2017 2018. It has just added a second cohort for 2018 2019 and is now taking applications for its third cohort for 2019 2020. At present, there are 5 members of the programme with, possibly, another 2 or 3 being selected for 2019 2020. As variously described another posts, the programme is part time and its members are largely, but not exclusively, in employment. It is designed with this in mind and its objective is to develop their research competence in occupational health and management and in safety psychology in a real world context. In many ways, the programme might be viewed as an enhanced PhD and successful students are awarded a Doctoral degree on completion of their 4 years of study and applied research. The first two years of the programme consist of small group and seminar based teaching (year 1) and a supervised systematic review on the member’s chosen research topic (year 2). Their research topics are developed and refined during the first year to meet their career needs, developing skills and particular interests. During years 3 and 4, the members of the programme complete the necessary empirical research. Professor Tom Cox CBE is the Programme Director and Dr Laura Thompson is the Director of Learning. The current External Examiner is Professor Stavroula Leka (Cork University Business School & Department of Psychiatry & Applied Psychology, Nottingham). During 2017 2018, the small group and seminar based teaching was provided by them variously working with the wider Centre team: Dr Alina Gomide and Dr Eduardo Lima (Minas, Brazil), Dr Sara MacLennan (Institute of Applied Health Sciences, Aberdeen ), Dr Kevin Teoh (Organisational Psychology, Birkbeck), Professor Sue Cox OBE (Lancaster University Management School) and Professor Alistair Cheyne (Loughborough University Business School). The group’s combined competencies cover occupational health psychology, applied health psychology, safety and reliability, and organisational psychology and management as well as both quantitative and qualitative methodologies. The first cohort of students (2017 2018) is now embarking on the systematic reviews to be presented as if submitted to a named and relevant journal. Their topics, broadly described as topic examples, are: cancer survivorship and work engagement, cultural intelligence and safety in the construction industry and emotional intelligence and safety leadership. Further information from: Professor Tom Cox (t.cox@bbk.ac.uk) or Dr Laura Thompson (laura.thompson@bbk.ac.uk). Expressions of interest are welcome. There is an exciting opportunity to get on to or to get back to the academic career ladder about to arise in the Centre for Sustainable Working Life at Birkbeck University of London. The Centre is about to advertise a fixed term Lectureship A/B in Occupational Health Psychology or Safety Psychology (or a closely related area). The post should start in late February 2019 and end in early October 2019. It is part time (0.5 FTE). The person appointed will assume the position of Acting Director of Learning for the Centre’s Professional Doctorate in Occupational Health Psychology & Management (PDP). They will work closely with Professor Tom Cox and other members of the Programme Team in organising and delivering the programme content. There will be time for the person appointed to devote to developing their own research or collaborating on the Centre’s established research lines. The PDP was formerly established in 2017 and took its first cohort in 2017 2018. It has just admitted its second cohort for 2018 2019. The programme is part time and focused on devoting the real world research and research competence of those with work experience and particular work-related and career interests. It is four years in duration. The first two years, culminating in a systematic review, are seminar led and the final two years are based on supervised empirical research. More information from: Professor Tom Cox at: t.cox@bbk.ac.uk. Expressions of interest (and resumes) welcomed and will be treated in confidence at this early stage. As part of the continuing development of the Centre for Sustainable Working Life at Birkbeck University of London, we have launched a new postgraduate programme in occupational health psychology and management. This programme is open to full and part time students – many will be in employment – and is accepting applicationsfor 2018 2019. It offers training in real world research focussed on developing interventions for substantive challenges in occupational health and in safety management. The programme focuses on the psychological, social and organisational nature of such challenges. Three exciting new opportunities are on offer in the Centre for Sustainable Working Life (the Centre) in the School of Business, Economics & informatics at Birkbeck University of London. Birkbeck is situated in Bloomsbury, a rather pleasant area close to Euston, St Pancras and Kings Cross mainline stations and also to several stations on different London Underground lines. It is a leafy area, punctuated by Edwardian squares of some historical interest, and largely populated by the universities, colleges and institutes that together make up the best part of the University of London. It is a good place to work. The Centre is a School-level research centre that now offers, what is arguably, the UK’s only professional doctorate in occupational health psychology. The Centre has a relatively small but productive and developing team. The current research themes that define much of its work are: managing psychosocial risks to employee health and safety, ensuring safety in high-hazard organisations, managing psychosocial and organizational issues in the provision of health care, and supporting cancer survivorship in relation to work engagement. There are interesting overlaps among these areas which can inform thinking about the nature and management of sustainable working lives. The Centre is a member of The METIS Collaboration and works with the Universities of Aberdeen and Newcastle on contemporary issues in psychosocial oncology from a work-related perspective. Over recent years, the Centre and its core team have been funded by both UK research bodies, for example the ESRC and the Health & Safety Executive, and European bodies such as the European Agency for Safety & Health at Work as well as by a number of private sector organisations including Associated British Foods, Babcocks and Primark and, currently, Balfour Beatty. 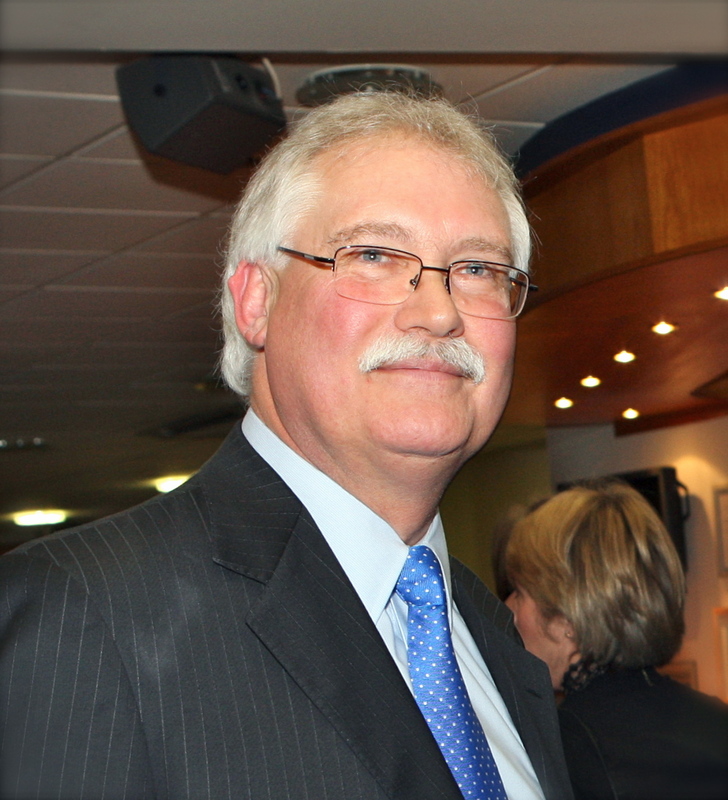 The Centre is led by Professor Tom Cox CBE. FIRST: A fractional but permanent Lectureship (A/B) in occupational health psychology or health and safety management (0.5 FTE). The person appointed will work closely with Professor Cox to further develop and deliver the professional doctorate in occupational health psychology. The teaching and research supervision involved are based on small group seminar work. They will also be expected to develop their own research interests within the framework and defining focus of the Centre. This expectation includes publishing and securing external funding. Finally, they will also be expected to be a good colleague and help further develop the Centre both within Birkbeck and further afield in its wider environment. SECOND: A fully funded full time three year postgraduate scholarship in occupational health psychology. The person appointed will work on a real-world industrial project focused on safety culture, leadership and performance in a high-hazard organisation. This research will provide the platform for them completing the professional doctorate in occupational health psychology. THIRD: A new Visiting Fellowship programme. In addition to the two funded positions, the Centre is keen to attract established and early career researchers to its new Visiting Fellow Programme. This programme is designed to encourage publication and later research collaboration but can also offer opportunities for postgraduate teaching. Further information can be obtained from Professor Tom Cox CBE at either: t.cox@bbk.ac.uk or proftrcox@btinternet.com. More information will appear on this blog. Interested parties might like to send their cvs (resumes) to Professor Cox. The Centre’s website is at: www.bbk.ac.uk/cswl. THE CENTRE FOR SUSTAINABLE WORKING LIFE & THE METIS COLLABORATION: PEOPLE, SEMINARS & NEW PROJECTS. Much has happened over the last six or so months that warrants reporting both with regards to the Centre for Sustainable Working Life (the Centre) at Birkbeck and to The METIS Collaboration (METIS). The headline topics are people, seminars and projects and, of course, publications and conference presentations. The ESRC seminar series on Cancer & Employment, which is led by the Centre but involves the other core partners in METIS, is a success and is entering its third and final year. Plans to take this initiative forward, beyond ESRC funding, are being discussed. People have left the Centre; some to further their academic careers and some through retirement. All are missed and most remain part of the overall project. New people are coming in and there is an excitement about how this new team will feel and work as it comes together. We are particularly looking forward to welcoming two Brazilian researchers in occupational health psychology on short sabbaticals, later in 2017, if suitable funding is secured for them. The Professional Doctorate in Occupational Health Psychology (see below) is established and the programme is open to those who wish to study and research in its area. At the same time, the Centre is launching a new project on ensuring safety in large high hazard organisations. It is funded by Balfour Beatty and is a collaborative enterprise involving senior colleagues in the company and in Lancaster and Loughborough universities. METIS continues to thrive and, partly through the ESRC seminar series, is becoming well established in the area of cancer survivorship and work engagement. It offers a unique integration of interests in the psychosocial, organisational and economic aspects of this topic. The core membership of the Collaboration is growing as is the network that it is developing of people involved in this important area. It is planned that this network and METIS itself be supported in 2017 through a new internet-based portal. The development work is well advanced. Several important conference presentations have been made successfully and publications on cancer survivorship and work engagement and other areas of psychosocial oncology are in the pipe-line. There will be more information on all of these headline topics soon including details of appointments to be made to the Centre; specifically (1) a full-time fully-funded postgraduate researcher to work on the Balfour Beatty project and complete the Professional Doctorate in occupational health psychology (three years funding available) and (2) a part-time Lecturer (A/B) in occupational health psychology or health and safety management, or a related area, to join the Centre team (permanent contract).